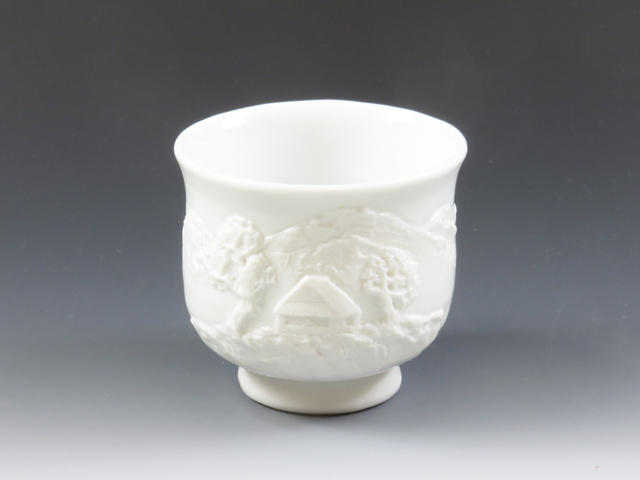 A porcelain sake cup with amazing landscape carving on the body !! An incredibly sophisticated sake cup with beautiful cloisonne patterns outside and chrysanthemum design on the inside bottom ! 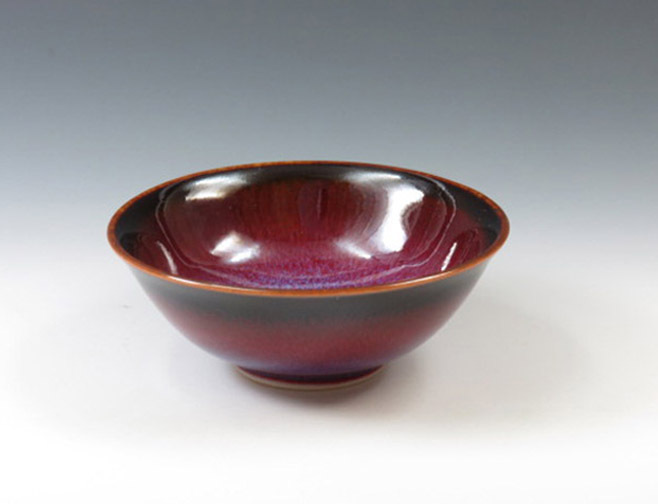 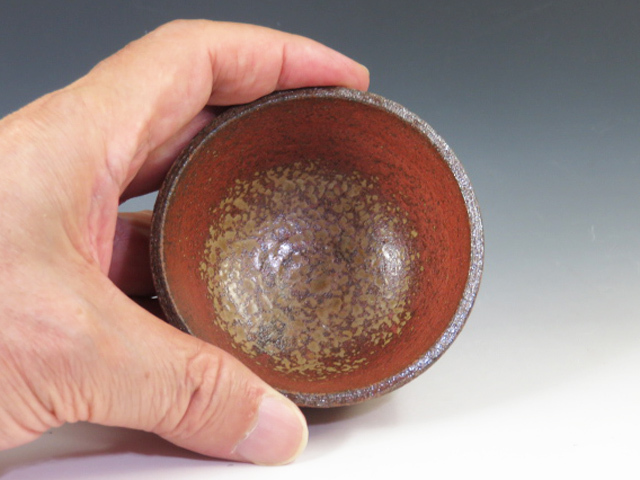 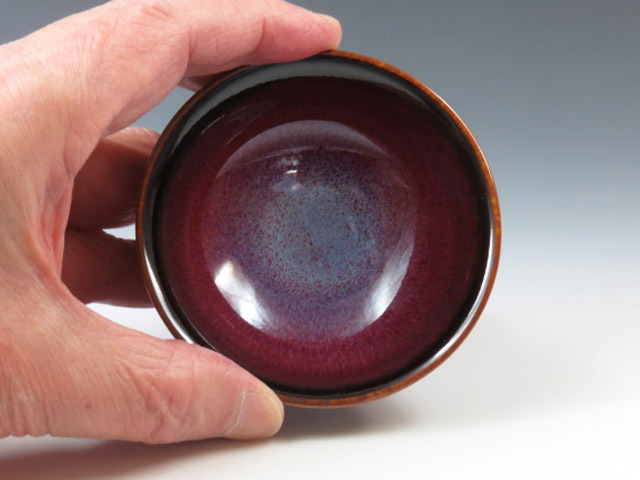 A “Sinsha (or copper red)” sake cup with beautiful color gradation ! ! 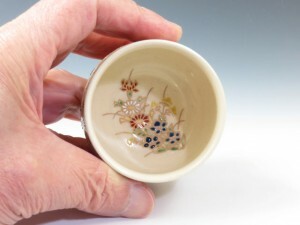 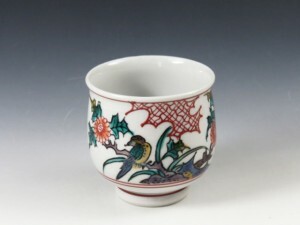 A beautiful porcelain sake cup with colorful paintings in Ko-kutani (orginal) style ! A beautiful Kiseto (or Yellow Seto) sake cup with an impressive middle belt and holding finger prints in dipping and with Tanpan (or copper marks in green) ! 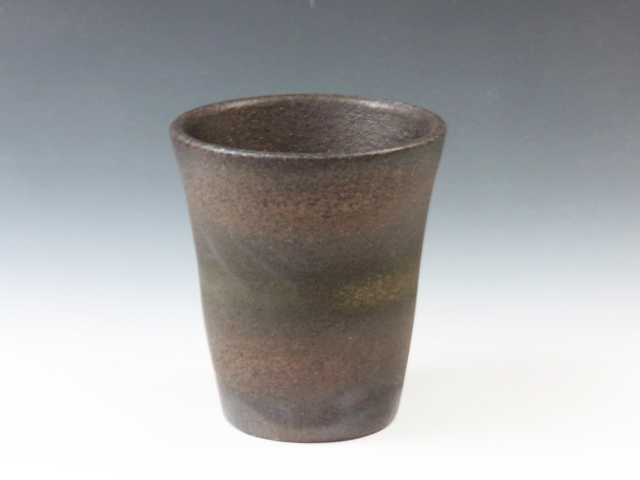 An unglazed sake cup with accumulation of natural ash-glaze generated in a climbing kiln ! 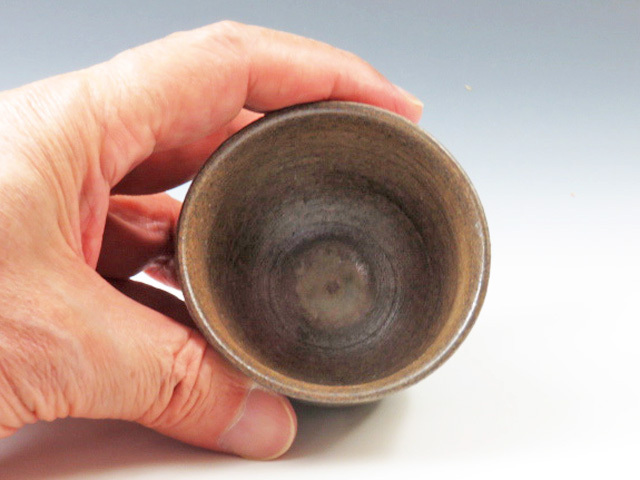 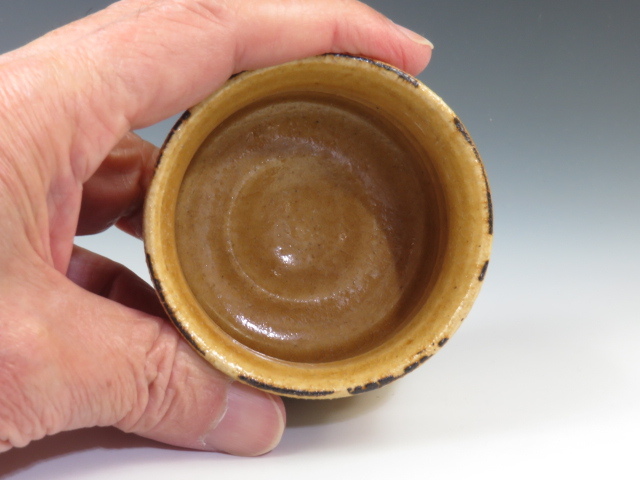 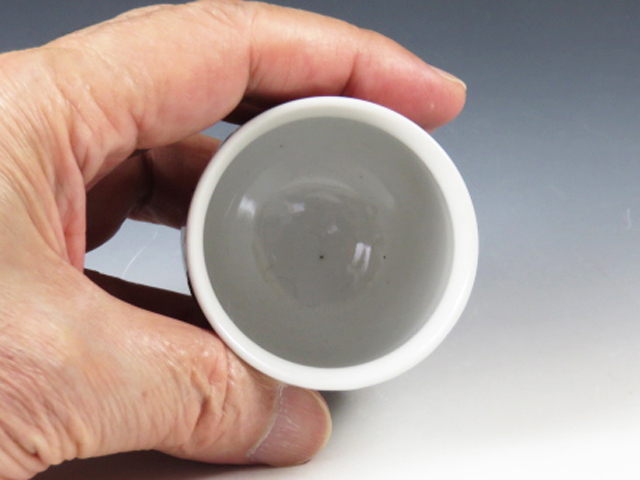 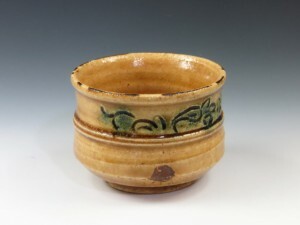 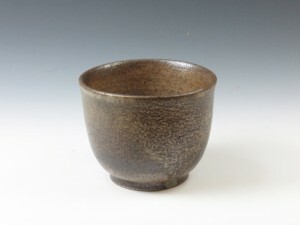 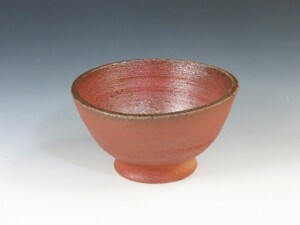 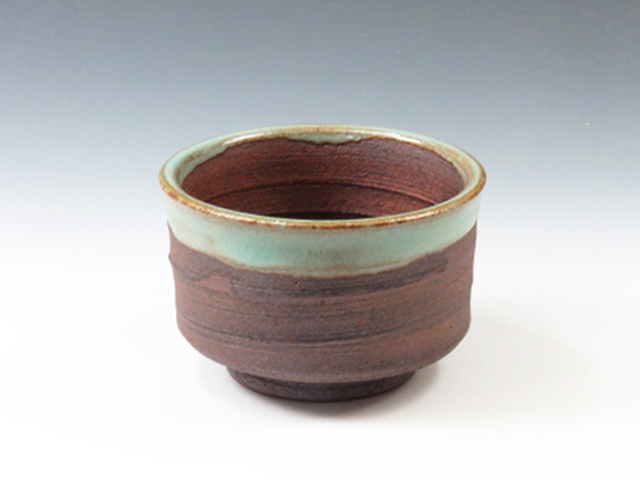 An unglazed sake cup with a beautiful flow of natural glaze over the local high-quality clay ! 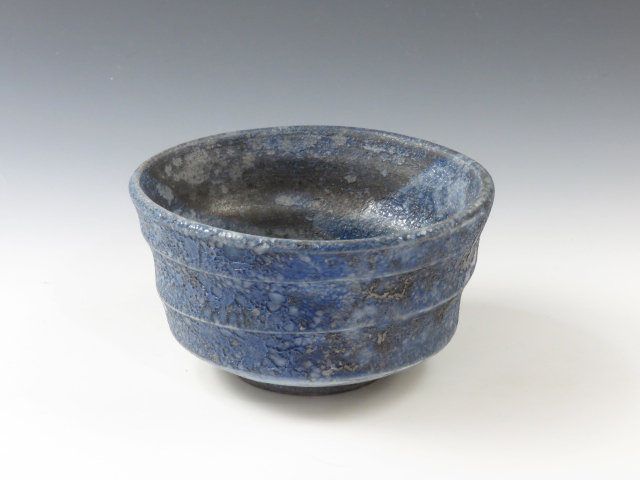 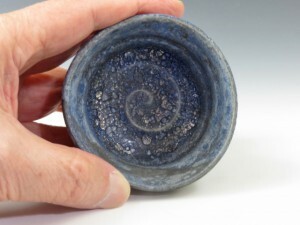 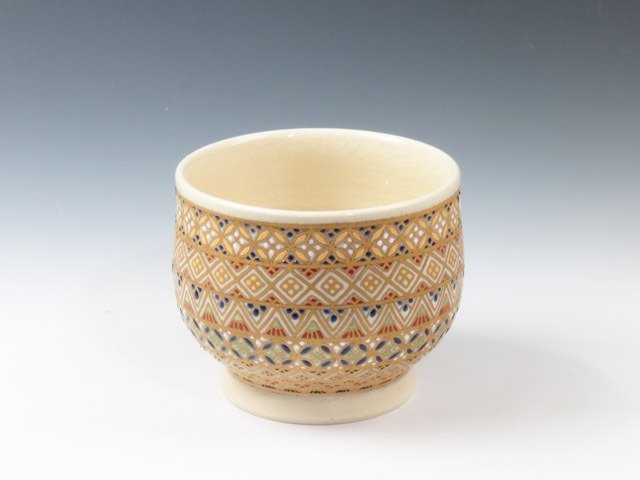 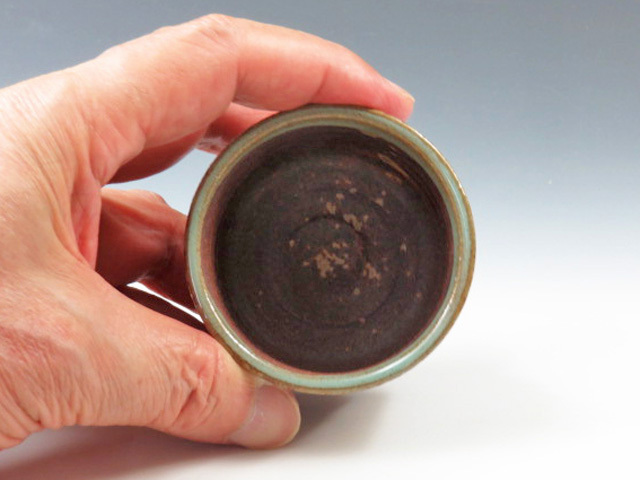 An unsophisticated sake cup with vivid two tone of dark brown clay and blueish glaze in folkcraft style ! 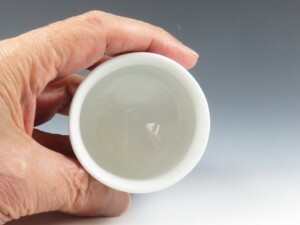 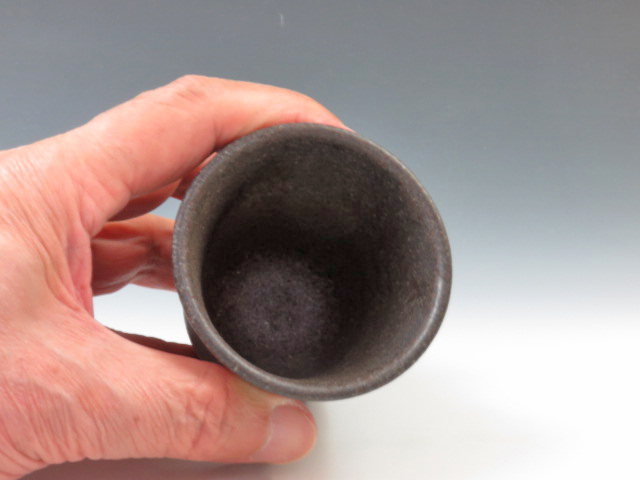 An unglazed dark blue sake cup with unique air called “Ibushi Ginsai” or smoked silver appearance !